I’m trying my best to switch up my makeup as often as I can, as I tend to get stuck in a bit of a rut sometimes. 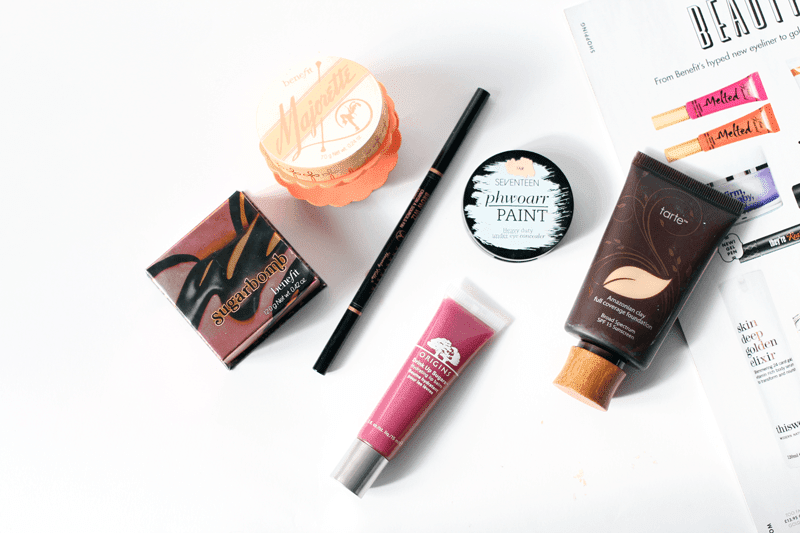 So, in my recent rotation, I’ve fallen just a little bit in love with these products as they’re all just wonderful and tick the right boxes. Starting with complexion, since getting my items from America I don’t think I’ve stopped using the Tarte Amazonian Clay Full Coverage Foundation since. It’s such a gorgeous foundation, amazing coverage but not mask-like, the colour is a perfect match and lasts a good 7-8hrs on my skin. I absolutely adore it and will be sad if I come anywhere near the end of the tube! As for concealer, the Seventeen Phwoarr Paint has been back in my makeup bag for its amazing coverage, staying power and how well it works on my dark circles! 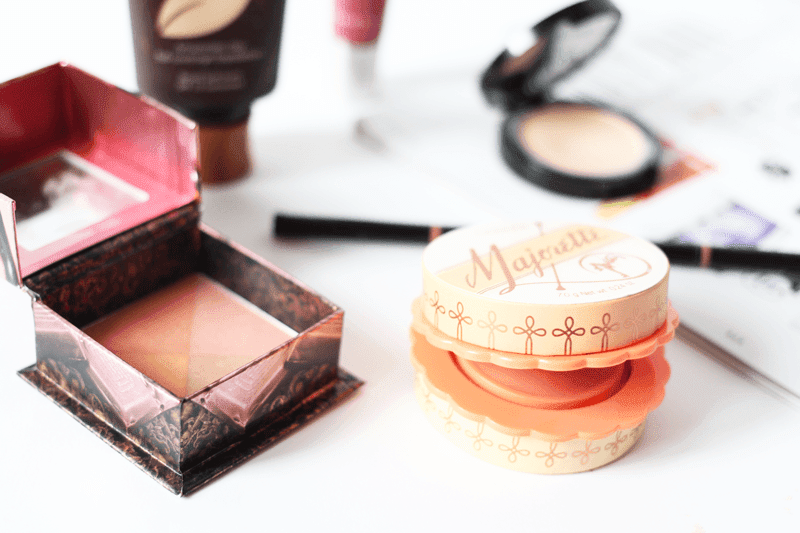 Two blushes that have got my attention are from the lovely Benefit. Their new release, the Benefit Majorette Booster Blush, is a stand out product. It’s a cream finish, a beautiful peachy shade and works well alone or under other blushes. One I’ve been using to layer ontop is the Benefit Sugarbomb Blush, as it covers all bases with its pink, red, peach and purple shades which swirl together for a natural finish. Finally, we’re talkin’ brows and lips. The Anastasia Brow Wiz (which I’ve now lost!) is a bit of a cult blogger product, but now I know why as it’s wonderful. I can’t seem to overapply it and it leaves my brows looking uniform and neat, despite never seeing them under my fringe! For lips, I’ve been using the Origins Drink Up Sugars Hydrating Lip Balm in Sweet Plum, which is a gorgeous berry shade. They’re hydrating and add shine, which I’ve been popping over the top of purple-toned lips for AW. Gorgeous! What have you been loving recently? Remember my blog sale ends today!